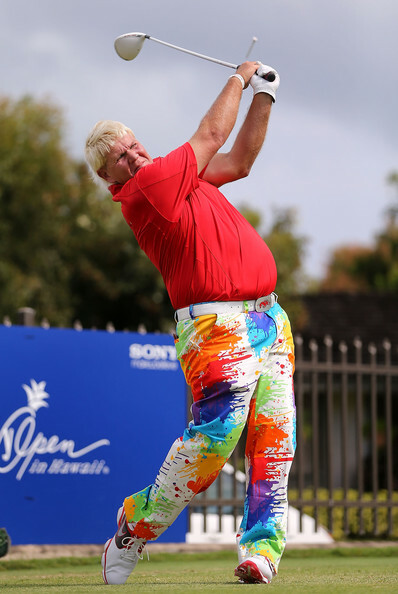 It's been a while since we posted a photo of Big John Daly and his crazy pants. This pair was too good to pass up. Here, Daly hits a tee shot on the 16th hole during the thrid round of the Sony Open in Hawaii at Waialae Country Club on January 12, 2013 in Honolulu, Hawaii.